Driver Easy ajută la rezolvarea instantă a tuturor problemelor legate de drivere computerului dvs. Driver Easy ajută la rezolvarea instantă a tuturor problemelor legate de drivere computerului dvs. Acesta scanează rapid computerul dvs. și detectează toate problemele legate de drivere, descărcând și instalând versiuni noi. Toate problemele legate de drivere pot fi rezolvate cu doar 3 clickuri. Având ca suport o bază de date cu peste 8 milioane de drivere, Driver Easy vă oferă orice driver necesar. Driver DR poate rezolva problemele dvs. legate de drivere. Acesta oferă un mod ușor de găsire a driverelor lipsă și recunoaște dipozitivele necunoscute. Programul vă arată driverele expirate, lipsă și cele funcționale. Apoi puteți descărca unul cîte unul sau le puteți descărca pe toate cu o singură cheie. Do not fix anything that is not broken! Hi Levitiquetus, I am the Driver Easy Support team member. You can trust Driver Easy, because we only collect the drivers form the hardware manufacturer website, include: Intel, HP, Lenovo etc, and this software was release on 2009, it is already trust by over 3,000,000+ customers. One more thing, Driver Easy is the member of Microsoft Partner and Intel Premier Elite Partner. You may knew Wintel. Driver Easy's core team has over 10 years of experience in IT industry , we start to build up the ourself's computer on 80486, and many many many of other system, we fight with IRQ for many years, until the Plug-and-Play appear, so we are understand the risk and the important thing need to be take care of the driver. 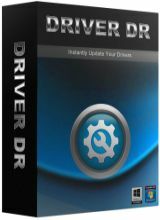 Please note, Driver Easy has Free version and Professional version, Home user can download the driver on free version, but has the download speed limit, and professional has most advance feature, such as auto create restore point, driver backup, restore, uninstall feature, and technical support etc. This giveaway is the Professional version. Enjoy it. Installed, licence code inserted and registered. Did the scans but gave an error message three times on the very last scan and canned the whole scan just completed. Eventually it sorted itself out, but when I started to install the drivers, it had just done. . Eventually it got there. When I had downloaded the relevant drivers, I clicked on "Install" but before it started the installation, it recommended I upgrade to the "Professional version" to automatically create a restore point. I thought I had just downloaded the "Professional" version!! Is there another Professional version that I have to "buy". Puzzled!!! Nowadays this genre of software has become more aggressive. The software programmers want to force you to replace the drivers. If you make the mistake of installing one and running a scan, then it wants to take over your PC. Do note that although some such software says it leaves you the choice to replace the drivers, it does not tell you that what action it has taken (without your permission) during and after the scan. What if the after the scan, the software has locked out your existing drivers, which it has identified to be replaced with "new" drivers from its own database of drivers? You PC will crash on your next boot up, unless you "update" the drivers. I think that was what happened to me with Iobit Driver Booster. What a lousy experience. You can look at Double Driver and DriverBackup! as both are portable freeware -- and CAN restore. Beware of lousy trickery software that pretend to be "free" but quietly did not tell you that you can only backup the drivers. If you want to restore certain important specific drivers, you have to PAY $$$ money to buy their "Pro" edition. I have come across a Semper Driver Backup that is based on this highly questionable business model. Beware of other driver software that you have to pay money to buy, but which are designed to stop functioning after 1 year. If you want to use the software to backup or restore after 1 year, you have to pay money again to buy usage for 1 more year. Every year you have to pay $$$ money. Now, does that sound like a good deal to you? Nowadays this genre of software has become more aggressive. The software programmers want to force you to replace the drivers. If you make the mistake of installing one and running a scan, then it wants to take over your PC. Do note that although some such software says it leaves you the choice to replace the drivers, it does not tell you that what action it has taken (without your permission) during and after the scan. What if the after the scan, the software has locked out your existing drivers, which it has identified to be replaced with "new" drivers from its own database of drivers? You PC will crash on your next boot up, unless you "update" the drivers. I think that was what happened to me with Iobit Driver Booster. What a lousy experience. You can look at Double Driver and DriverBackup! as both are portable freeware -- and CAN restore. Beware of lousy trickery software that pretend to be "free" but quietly did not tell you that you can only backup the drivers. If you want to restore certain important specific drivers, you have to PAY $$$ money to buy their "Pro" edition. I have come across a Semper Driver Backup that is based on this highly questionable business model. Beware of other driver software that you have to pay money to buy, but which are designed to stop functioning after 1 year. If you want to use the software to backup or restore after 1 year, you have to pay money again to buy usage for 1 more year. Every year you have to pay $$$ money. Now, does that sound like a good deal to you?